Homer was known as a thoughtful and reclusive man, who would go to great lengths to capture the struggle between mankind and the forces of nature. Longing to capture humanity in its humble states; Homer’s work focused on the struggle of women taking care of home while their men were at war, or sailors braving a fierce storm. 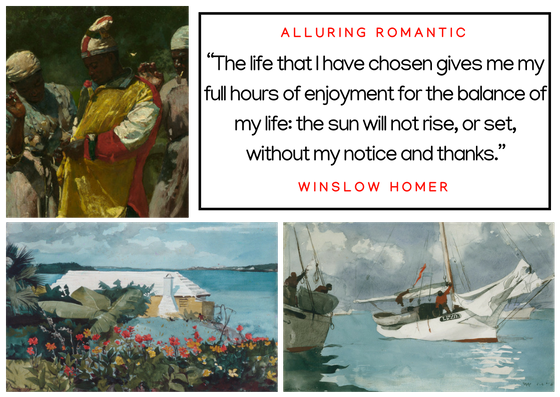 Fueled with emotion, beauty and tumult of everyday life, Homer captures the authenticity that all Alluring Romantics strive to achieve.